Pierre Boulez Saal is the newest Berlin concert hall. In fact, it opens tonight (March 04th, 2017). I am honored to have been invited for the dress rehearsal with Daniel Barenboim and could not be more excited to tell you all about it. If you are a classical music fan, you know that Berlin has one of the most exciting classical art communities anywhere. From a few world class opera houses, many respected symphonies to the best Philharmonic orchestra in the world. Berlin is guaranteed to dazzle you. In fact, we have even published an article about that HERE. Well, it just got even more exciting! 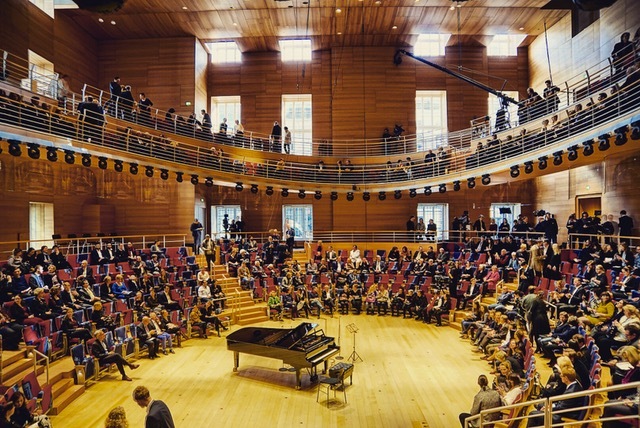 The Pierre Boulez Saal is a very exciting new addition to that scene. Trust me. 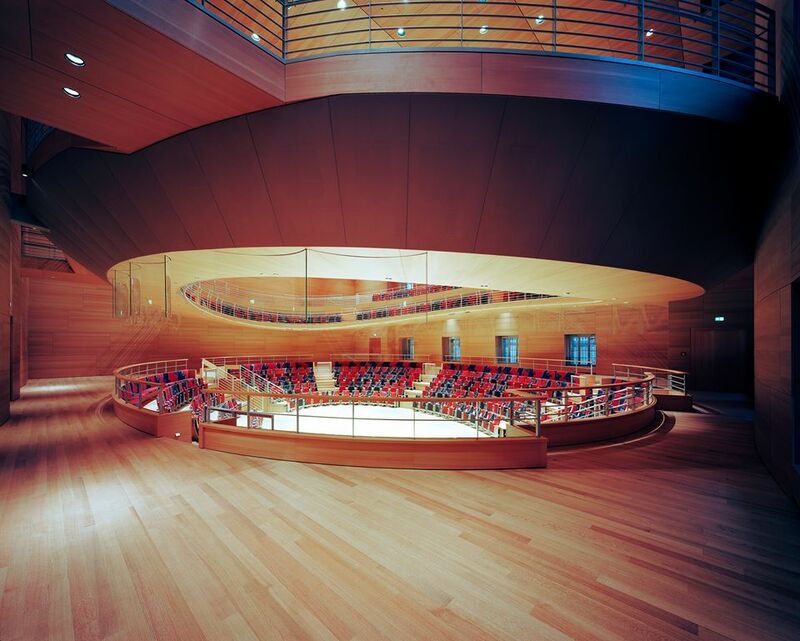 When you get Daniel Barenboim and American architect Frank Gehry together, the result can only be breathtaking. 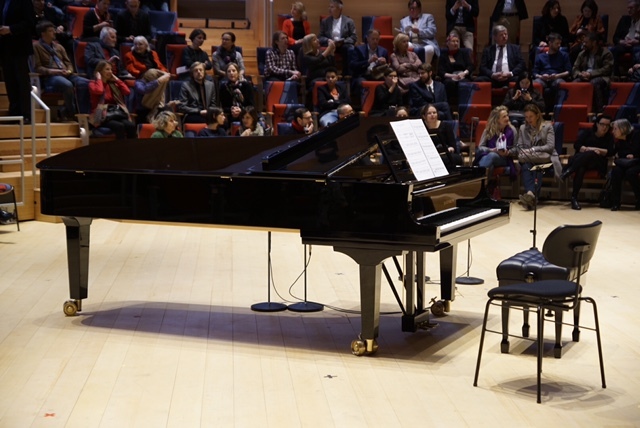 The project is the brainchild of multiple award winning classical music royalty Daniel Barenboim and is set to become a place where world class concerts, creation and education meet. 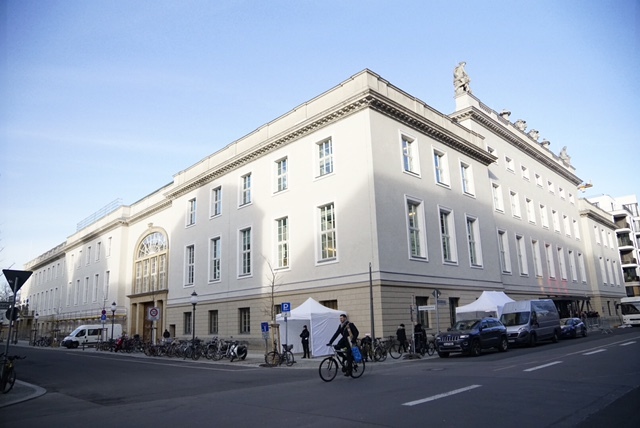 The space is also home to the Beronboim-Said Akademie, where students and faculty will perform. They also plan conferences and academic events here. 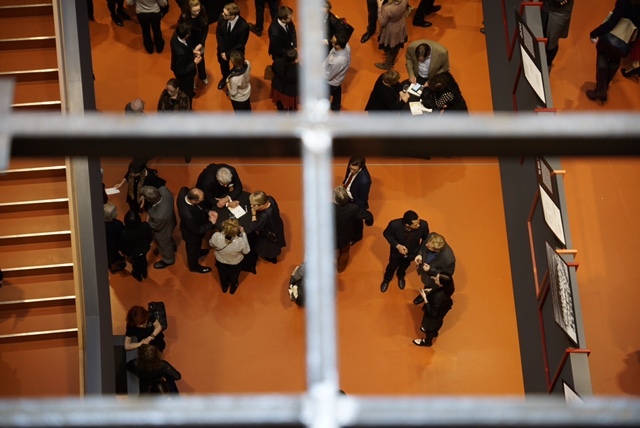 Different orchestras and soloists will perform throughout the year, however, the space is home to the newly formed Boulez Ensemble Orchestra. The exterior has a classical architecture. 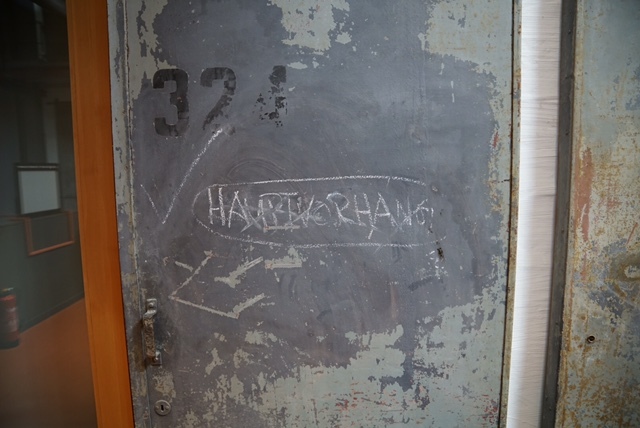 A former storage building of the Staatsoper Unter den Linden, it is beautiful in its own right. 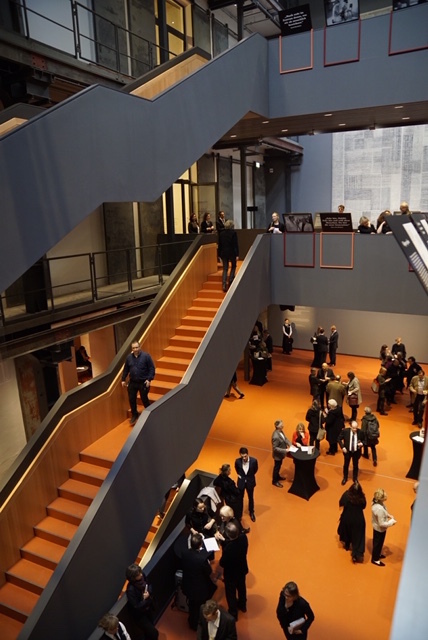 The surprising industrial orange/grey foyer and the elliptical formations of the concert hall are true gems. The architecture alone if worth the visit. 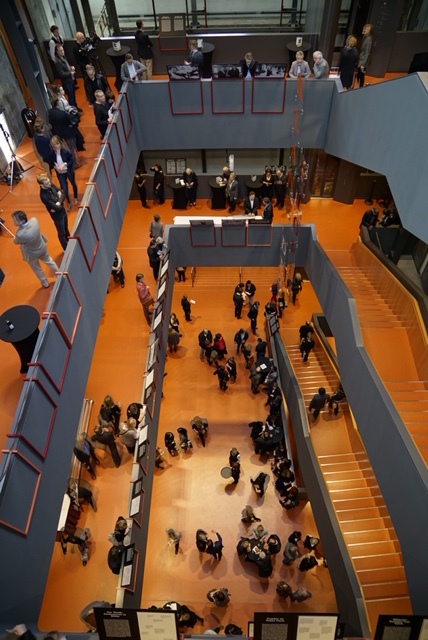 Check this out: The concert hall is totally modular and can be configured in a variety of ways depending on the artistic requirements of the concert. Every concert will deliver a completely unique spatial experience. The spacial perspective of the Pierre Boulez Saal is a feat of architecture. Two elliptical formations, one above the other, create an increadibly hypnotizing visual movement. It feels very intimate. The distance between the conductor and the farthest seat is never more than 14 meters! The acoustics are impeccable, as expected. 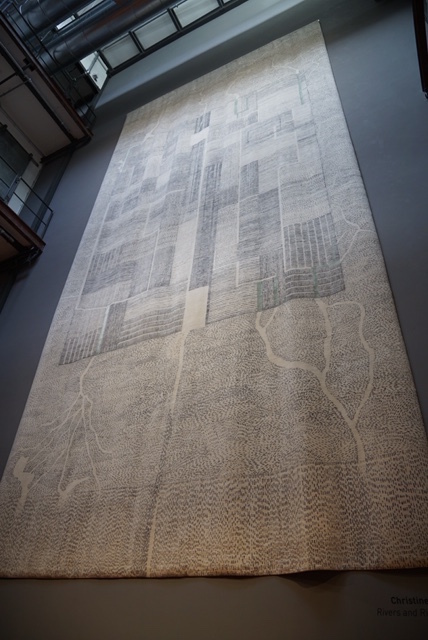 Meanwhile, as you wait for the concert to begin, walk towards the back of the foyer and gaze at Christine Meisner’s stunning 3-storey handwoven wool and silk tapestry (called Rivers and Rights), which shows the rivers Nile, Jordan, Euphrates and Tigris. Incidentally, keep checking their website as they promise to offer lunch time concerts and matinee performances as well. The location could not be more central and convenient. Between Gendarmenmarkt and the Museum Island. Take the subway (U6) to Frazösische Strasse and walk for 5 minutes.